Having investment knowledge is good. Having qualified people to execute strategies using that knowledge is better. John Hancock Investments says it has both. The Boston-based investment house has launched a new advertising campaign highlighting the dedication it puts into creating investment strategies and asset manager selection. The company has more than 118 strategies with more than 70 portfolio management teams at 28 different elite asset managers, says Karen McCafferty, head of marketing for the firm. The effort is anchored by a new microsite, www.ourdifferentapproach.com, which explains the company’s efforts to build an “unrivaled network of specialized asset managers, backed by some of the most rigorous investment oversight in the industry.” Ads in the new campaign tell how the approach sets the company apart. 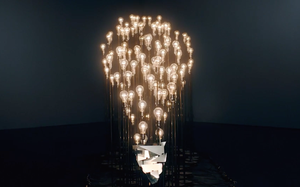 One spot, for instance, uses a lightbulb as a metaphor for the “smartest ideas.” The shot then expands to reveal several lightbulbs to represent “the brightest fund managers” to execute those ideas. Once the shot fully expands, all of the individual light bulbs have come to form one large light bulb. “It might sound simple,” a voiceover concludes. “But in the world of investing, it’s a surprisingly big idea.” Other spots show drops being sorted to represent the finessing of investment ideas and a loom weaving together threads to create a seamless investment strategy. The campaign is intended to reach financial intermediaries and advisors, McCafferty says. It will run on business-focused networks such as Bloomberg, MSNBC, CNBC and CNN. Print advertisements will appear in Barron’s, Investment News, Institutional Investor and other publications,” she says.